Select Rug Size 23" x 72" 17.5" x 43"
Vacuum regularly. Do not use beater brush. If long ends appear do not pull. This is not a defect. It is a normal occurrence in hand tufted rugs and is easily remedied using scissors to trim the sprouted section even with the rug. Sponge spots clean. To clean full rug, gently rinse with a solution of mild detergent and water. Hose rug clean, lift off ground and allow to dry thoroughly. Reducing exposure to rain and moisture will prolong rug life. 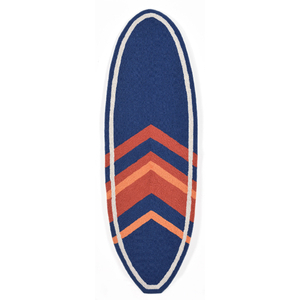 Angleboard Indoor/ Outdoor Mat features bold colored surfboard rug in the shape of a surfboard. 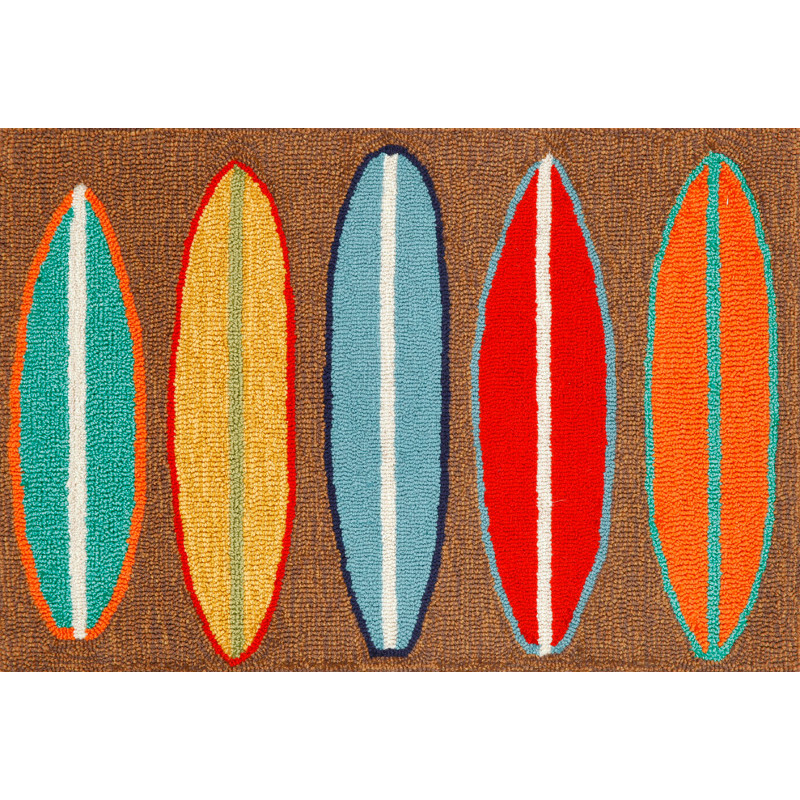 This is a coastal rug that is sure to liven up any space. 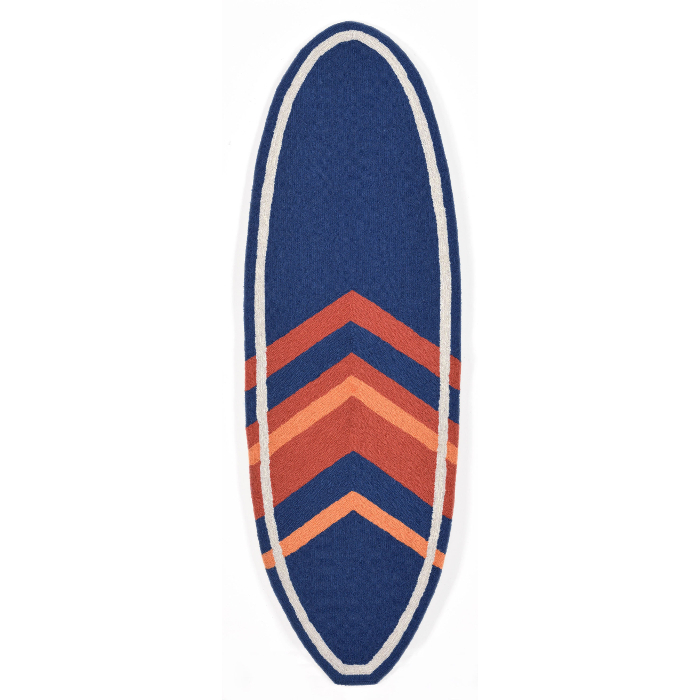 The content and quality of this hand tufted, synthetic blend rug will hold up to indoor or out door use.